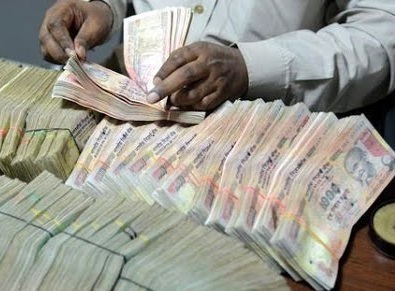 Raipur: The Chhattisgarh Anti Corruption Bureau (ACB) today raided about 2-dozen premises of ten government employees in the State capital and other cities like Korba, Bilaspur and Raigadh and unearthed huge quantity of cash, other valuables and property related documents indicating assets grossly disproportinate to their known sources of income. The search and seizure operation was continuing this afternoon. When the ACB sleuths landed at Executive Engineer S.N. Pathak’s Bilaspur residence, he filled a pillow cover with currency notes and threw it across the window. The Executive Engineer was caught in this act and the money, totalling about Rs. 35 lack, was seized. The officers, whose premises have been raided by the Chhattisgarh ACB, include Assistant Director of the State Civil Supplies Corporation Daya Mani Minj, Joint Director Education Department, Hariram Sharma, Registrar of Ravishankar Shukla University K.K. Chandrakar, SDO water Resources Department Anil Rahi and CMO Arun Sharma. Earlier this year in Januar, the Chhattisgarh ACB had conducted raids at the residences of 3 Indian Forest Service officials along with 6 other officials and detected assets worth crores grossly disproportionate to their income. These raids point to the maliase of corruption and how it has seeped into the system and corrupted the officers across different Government departments in Chhattisgarh.